Heavy rainfall in summer can create a breeding ground for fungal turf diseases, which love the warm, wet environment and are taking hold in commercial properties across the region. Even healthy lawns are at risk. You can’t control what the environment does, and it’s setting the stage for lawn diseases like dollar spot, brown patch and pythium blight. The good news is, you can identify these lawn diseases when they first appear and stop them before they cause significant damage to your turf. That said, allow these diseases to fester and you could be reseeding areas of your lawn in the fall. Not to mention, your lawn will look like it needs a rescue squad the rest of the summer. Properly identifying lawn diseases in Northeast Ohio can be tough. Some of these diseases look a lot alike and the triggers, which are mainly environmental, are similar. So, let’s take a close look at the top three common lawn diseases in Northeast Ohio we’re concerned about right now. Study the photos here, too. We’ll address what each lawn disease looks like, why it happens, how it progresses, and what you can do to treat it. What dollar spot looks like: When the morning dew is still on the lawn, you’ll notice spots of grass that look like cotton candy or like a white spider web in a localized area. That web-like, cottony stuff you’re seeing is actually the fungus, called mycelium. 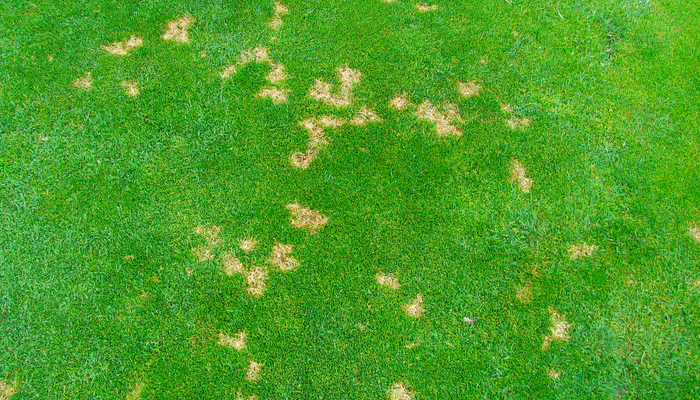 Dollar spot can also look like straw-colored spots (the size of a silver dollar). Why your lawn has dollar spot: When your lawn is wet and the soil is dry, the lawn is at risk for dollar spot. Dry soil—yes, even with all the rain we’ve had—can happen when there is a thick layer of thatch. Does your lawn feel spongy? Can you see a layer of thatch between the grass and the ground? How dollar spot progresses: Mycelium attacks the leaf blades starting at the tip, moving down the leaf shaft.Eventually, spots grow together and form larger patches. Eventually, if left untreated, dollar spot can evolve into large areas of dying turf. Treating dollar spot: A simple fungicide treatment will stop dollar spot before it gets out of hand. Also, cultural practices are important: reducing thatch through aeration in the fall or spring, and proper watering—every three to four days, 1 inch of water per session. 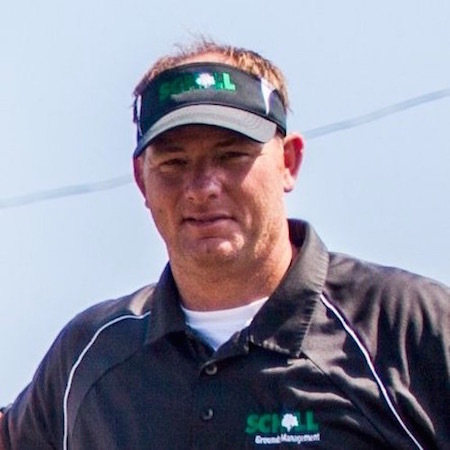 Dollar spot can be effectively treated with a fungicide—and you can prevent dollar spot with a fungicide application if your property is at risk. A professional can advise whether this is a wise move. Treat dollar spot as soon as you identify it and you’ll stop its progression. If the weather changes and the grass dries out, you may notice that dollar spot goes away. Fungus can’t survive without that warm, wet environment. But we recommend addressing the disease as soon as possible rather than waiting for it to stop raining here in Northeast Ohio. Check out the weather forecast this week, for example. Need more lawn care tips? 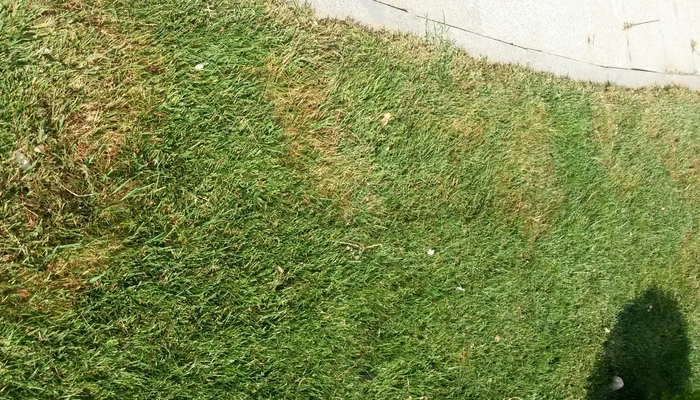 What brown patch looks like: Just like its name, you’ll see brown patches in your lawn. These are irregular areas since brown patch does not generally develop in perfect circles. When grass blades are high, the patches can appear to have a leading edge that’s grayish-tan. What you’re seeing is the leaf “blight,” or damage from this fungal disease. Why your lawn has brown patch: Again, the weather here in Northeast Ohio is triggering lawn diseases like brown patch that need wet, humid conditions to set in. And like dollar spot, a heavy thatch layer can trap moisture in the lawn, creating an even more attractive environment for fungus. On the other hand, proper drainage can reduce the likelihood of brown patch. You want water to seep through grass toward roots in the soil. 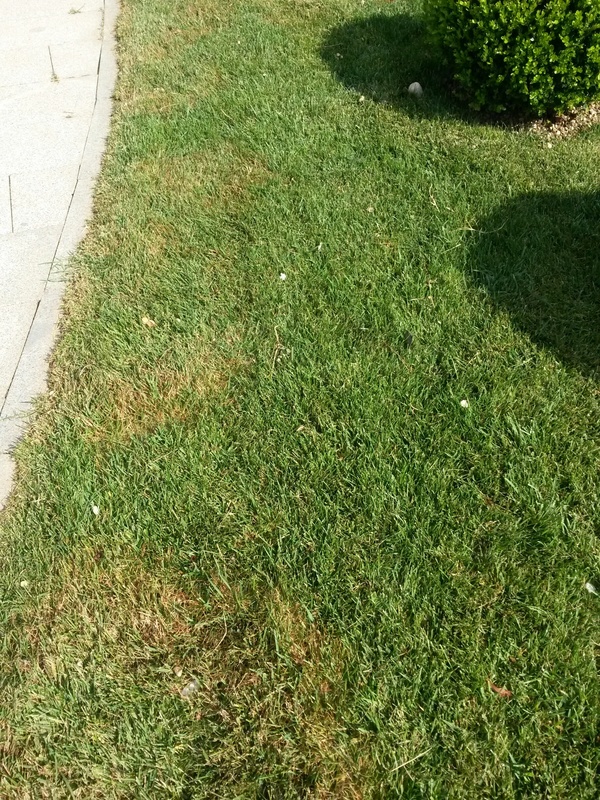 How brown patch progresses: Blighted areas of the lawn continue to grow larger if brown patch is not treated. Patches can grow together, coalescing into large sections of diseased lawn. Treating brown patch: You can wait for the rain to slow down. Often, brown patch will clear up in dry weather once the grass has an opportunity to air out. But if brown patch gets too severe, you might risk losing large areas of lawn. Brown patch can be treated with a fungicide. A certified lawn care technician will know the proper formula and application rate to ensure that you’re getting adequate coverage. You might also notice cotton candy-like growth from infected grass. 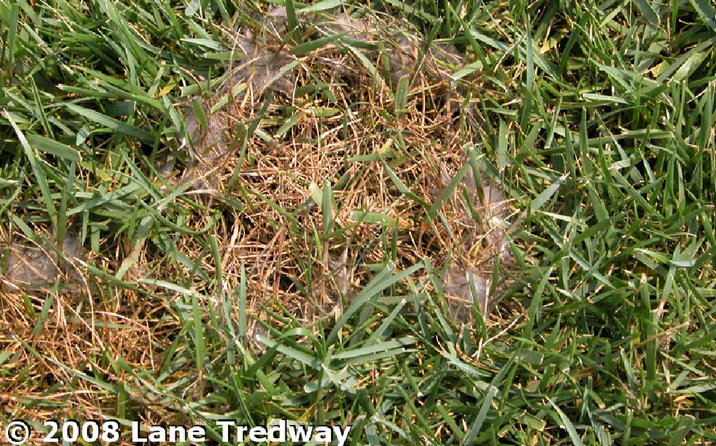 This is the mycelium (fungus), and why the disease is sometimes called “cottony blight.” Once the cottony growth appears, a brown patch can form where the grass dies. Why your lawn has pythium: Back to environmental conditions: warm, humid, wet weather for prolonged periods of time causes lawns to be a comfortable host for fungal disease like pythium blight. Your lawn could be a target for pythium if the combined temperature and humidity exceed 150 for more than 10 days. (That’s the formula we use at Schill to predict pythium onset.) But pythium blight can even establish when grass is wet for 12 hours and daytime temperatures exceed 82 F and night temperatures stay above 68. 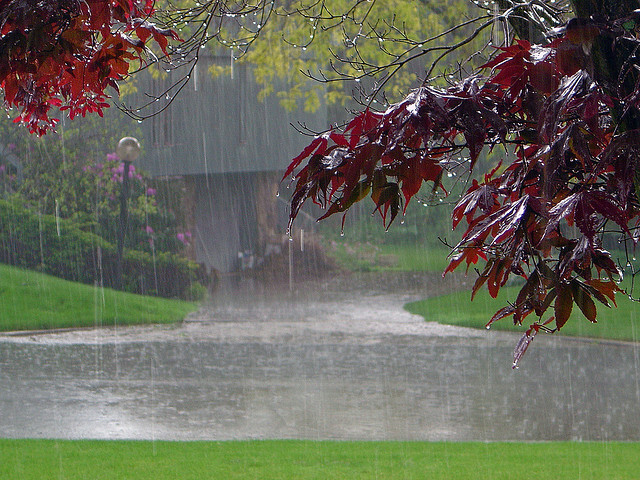 Does your property have standing water? That can enhance the spread of pythium blight. How pythium progresses: Groups of blighted spots can grow together, and pythium blight can develop into streaks because of the way this disease progresses. The spores can “swim” with water, so irrigation and rain can blight large patches of lawn in a matter of hours. The disease can also be spread mechanically. Pythium fungi are survivors. Fungus spores can stay active in plant debris or the soil and persist into the next season. Treating pythium: Fungicides are an effective means of treating pythium blight. Also, be sure to bag and remove lawn clippings from infected turf since the pythium fungi can stay active in plant debris and then spread to healthy lawn. As with other fungal lawn diseases, proper air circulation and watering is critical for treatment and prevention. Make sure the lawn is properly draining—dethatch and aerate if necessary. We can’t help all of the water our lawns are getting via rainfall this year, so keep an eye out for turf diseases like dollar spot, brown patch and pythium blight so you can address them before they cause significant damage to your commercial property. Identifying these lawn diseases can be challenging because their symptoms are similar and they can even look alike. We encourage you to get a second opinion. Call us any time at 440.327.3030, or fill out this simple contact form and we’ll get in touch with you.